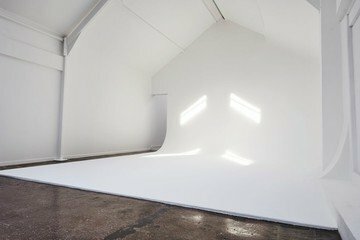 Perfectly minimalist yet professional at the same time, this boutique photographic studio in Manchester will be a great match for a variety of event types. A distinct and clean style will echo through to your guests as they connect the beautiful space to your message when you rent this venue. Photo studios may not be the first place you’d think about when you rent a venue for an offsite meeting, but Manchester has a knack for versatility - and so does this photo studio close to its city centre. The venue's largest studio provides the perfect blank canvas for any meeting or event. The studio features a full-height infinity cove and a mezzanine area, with 2.8m wide double doors leading to the private car park and outside area. 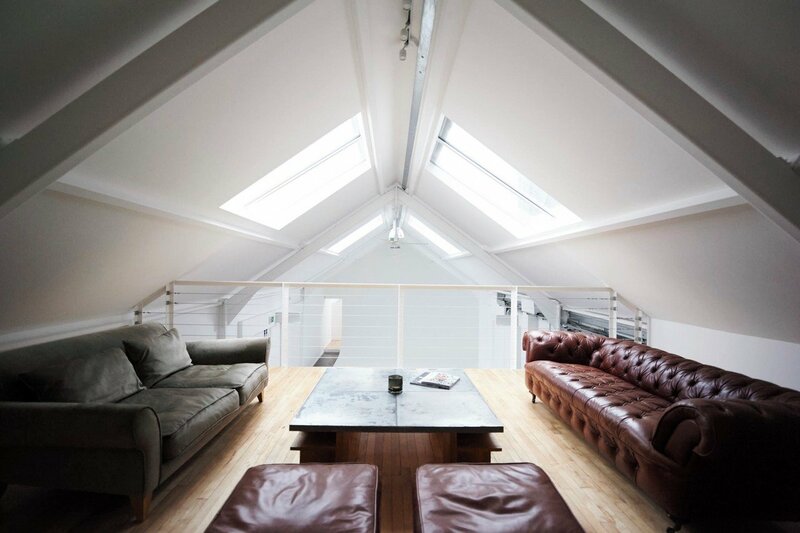 Daylight from the skylights can be controlled with electric blackout blinds. The studio has access to a private lounge and the bar. The air-conditioning will keep you motivated throughout the sunniest of days. High-speed wifi and 63amp / 3 phase power will help you make the most of your time in this space. Want to look fresh while you're at it? A separate hair and makeup suite, as well as a private w.c. with shower are at your disposal. This studio can be linked to the venue's other studio to create a larger event space if required, forming a combined space of over 300m².